Human interleukin-2 (IL-2), also known as T-cell growth factor (TCGF), is a glycosylated 17.6 kDa protein produced by T-cells. IL-2 is a crucial regulator of the immune system through T-cell proliferation and other activities. The receptor for this four α-helix bundle cytokine consists of three subunits: an α subunit that is specific for IL-2; a β subunit that is a component of the IL-15 receptor; and a common gamma chain (γc/IL-2 Rγ) that is shared with the receptors for IL-4, IL-7, IL-9, IL-15, and IL-21 but does not independently interact with IL-2. 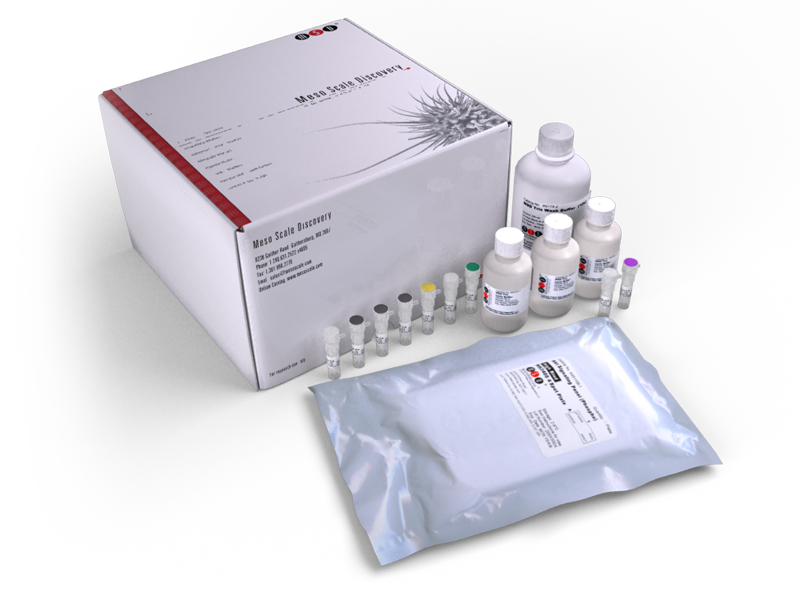 IL-2 production levels are associated with HIV infection and entamoebiasis.The Human IL-2 Kit provides the assay-specific components for the quantitative determination of endogenous IL-2 in human urine, serum, plasma, and cell culture supernatants. For the lot specific concentration of each calibrator in the blend, refer to the certificate of analysis (C of A).